Adalah and Al Mezan: The military's decision not to investigate, made public two years after the attack, demonstrates entrenched impunity and the need for a thorough and credible investigation. 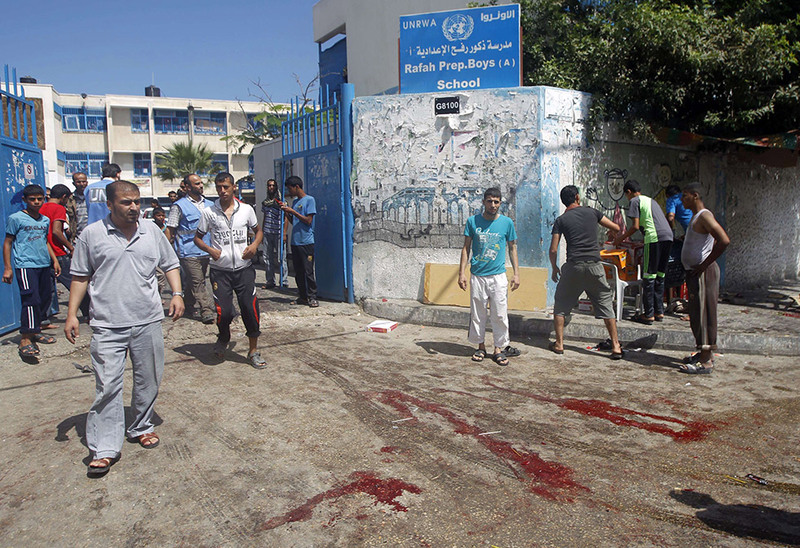 "We remain determined to ensure that incidents are thoroughly investigated," UNRWA said. "We have called for accountability in this case and in others that took place during the 2014 war. Any indication that responsibility was being evaded would be a matter of grave concern… We note that no criminal responsibility seems to be accepted for any concluded cases concerning UNRWA premises. The families affected have had no effective redress and, from their perspective, this would certainly be seen as a further denial of their rights." 2. Ismail Samir Suleiman Shalouf, aged 17. 12. Madhat Fayez Mohammed Ghayyad, aged 31, died on 7 February 2015.